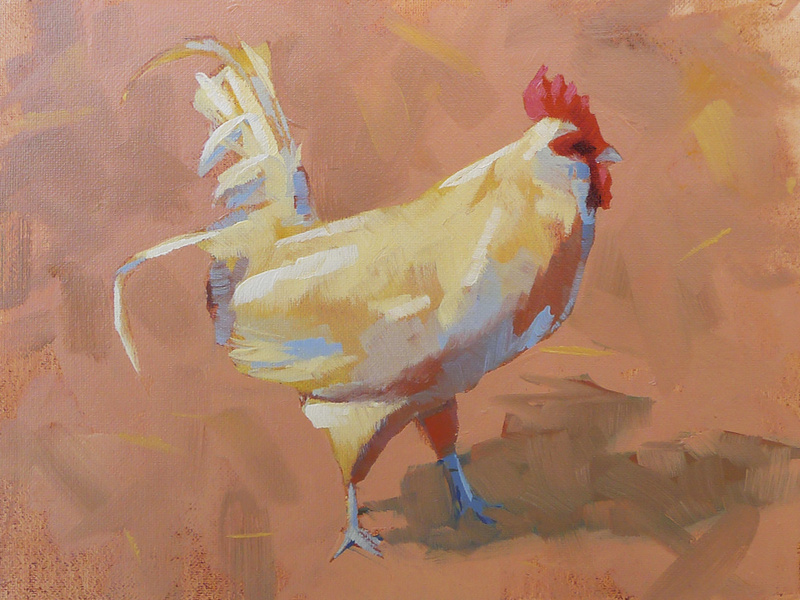 Oil on Canvas Panel|8" x 6"
I had a few other chicken shots from 2011 and wanted to try this guy. I loved painting the high key colors on this one. The colors looks crazy if you focus on them but it works (I hope) as a whole. Well, this is it for 2015. Another 100 in the books. I’m going to take a week off and then try to keep on painting. I feel like I feel like I’ve learned so much over the last 45 days and don’t want to lose that momentum. Happy new year!! !